What Does "Water Resistant" Mean? The Time Bum does not open case backs. I know my limits, and messing around with the tiny, fiddly bits inside my watches is beyond them. So like most watch guys, I have a "watch guy" of my own, a watch repair specialist at a local jeweler who has the tools, training, and patience to do what I will not, from battery replacement to overhaul. Whenever I bring a watch in, whatever malady it might display, he asks, "do you shower with it?" The answer was always no, but I eventually questioned the relevance of my bathing habits to his work. 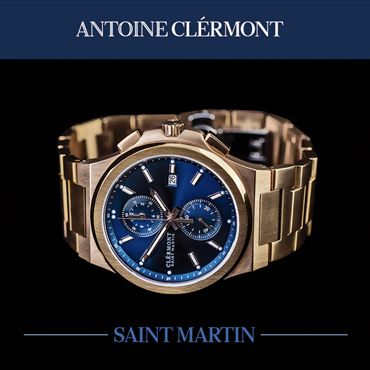 He told he that in his experience, water damage was the single greatest killer of watches and it was almost never the result of accidental exposure, just ignorance on the part of the wearer. When I heard this, I knew must use my awesome blogging powers to set it right. 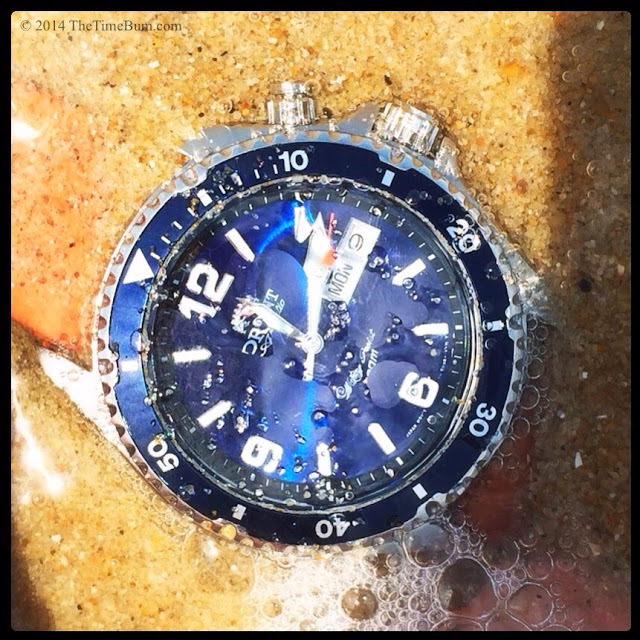 The dynamic between watches and water is a strange thing. We take an intricate machine, built to exacting tolerances, then strap it to wrist of a person who, being human, is guaranteed to get near water several times a day. Then, just to make it more interesting, we take some of these machines and encourage people to plunge them into the briny depths of the Davy Jones Locker. After setting all that in motion, we wonder why that treasured Blancpain Fifty Fathoms once owned by Jacques Cousteau himself got ruined when you wore it to clean the fish tank. It does not seem to make a lot of sense. Water resistance is generally listed in one of two ways, depth in meters/feet, or atmospheric pressure in atm/bar. One atmosphere is equal to 1.01325 bar, or what we at Time Bum Laboratories call, "close enough." For example, 100m water resistance = 330 feet = 10 atm = 10.1325 bar. Before I tell you what water resistance is, I'll tell you what it isn't. It is not a guarantee that you can submerge your watch to the depths listed forever, after all, it does not say "water proof" and that is no accident. Most people see a rating of "30m" and quite reasonably assume that anything above that depth, like a swimming pool, must be safe for the watch. That is common mistake number one. 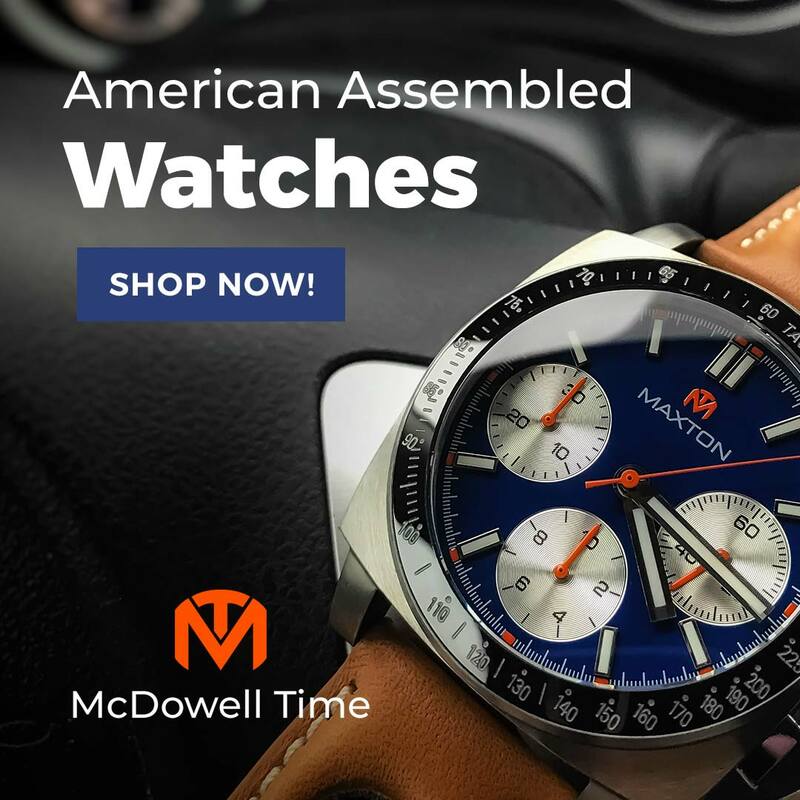 The rating on your watch generally comes from a sample of a brand new watch that is tested in a machine that simulates a given atmospheric pressure. It is a static test against possible incursion, and this rating is similar to the Pirate Code, which is to say it is more of guideline than a rule. The other source of confusion is that depth is only one way to exert water pressure on a watch. Pressure will change as a result of force as well, for example, diving into a lake generates more pressure on your watch than gently placing it into a pan of water. Three feet of heavy surf is not the same as three feet in a swimming pool, and even three inches of water can exert astounding pressure at motorboat or jet-ski speeds. So what the heck do those ratings really mean? Allow me to decode them for you. The following table has been repeated all over the Internet in one form or another, but I'm not going to let that stop me. Bear in mind that these are generalities. Individual manufacturers may have different ideas of what is safe activity for a particular rating. Best to check first. No rating = Do not even say the word "water" loudly in its presence. 10m, 1 atm = As above, but somebody felt compelled to write something on the case. 30m, 3 atm = Splash resistant. Ok for rain, hand washing, other occasional contact with water. 50m, 5 atm = Suitable for swimming, fishing, other outdoor activities. 100m, 10 atm = Suitable for snorkeling and other prolonged contact with water, but not for scuba. 200m, 20 atm = Finally dive worthy! At least for recreational skin diving. Some watch makers go the extra mile, subjecting their watches to more extensive testing to ensure safe exposure under higher levels of water pressure. They may even comply with ISO 6425 Diver's Watch Standards - but not necessarily, as compliance is voluntary and can be costly. 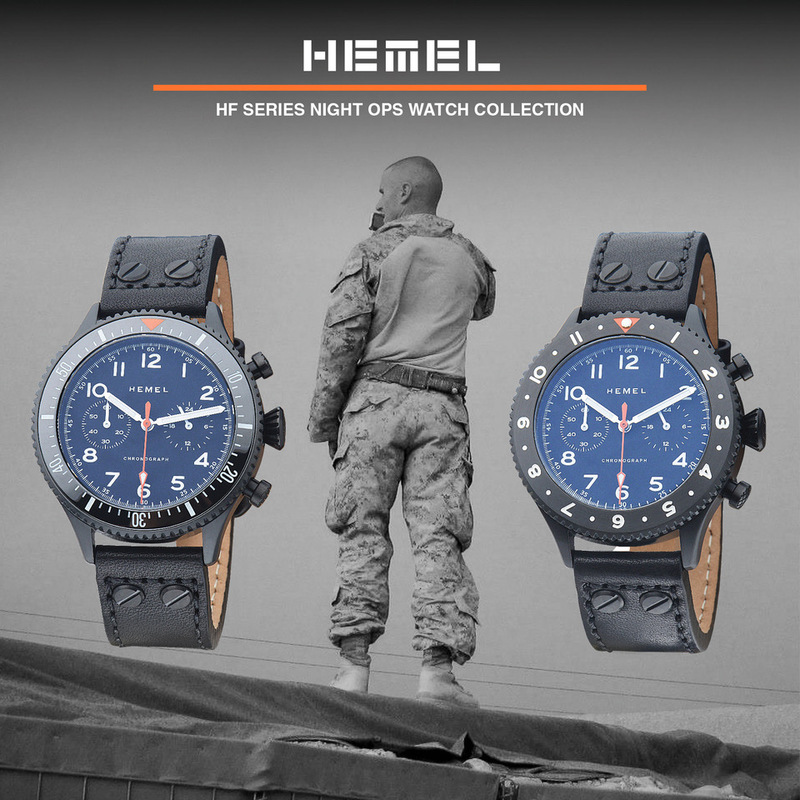 Whether 6425 compliant or not, these watches must survive higher levels of over pressure, thermal shock, and resistance to condensation. ISO 6425 compliant watches must also have certain mechanical features related to diving such as a unidirectional timing bezel. In order to be rated for mixed-gas saturation diving, the watch must also have a helium release valve. These ratings start at 200m and can exceed 1000m. 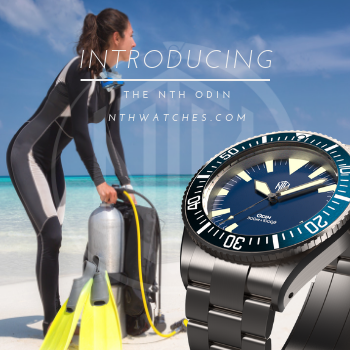 Some brands make a distinction between their standard 200m watches and "Diver's" or "Professional" models, but as with all ratings, it is best to check with the manufacturer to confirm what sort of activity is safe for the watch. Now that you have the basics, I return to the original issue. Why do water resistant watches get water damaged, even when the user understands the table? The answer is that water pressure only one factor. Watches maintain their resistance through the use of gaskets in key areas. Screw down crowns and case backs certainly go a long way, but it is the humble gasket that does all the heavy lifting. Gaskets resist water very well, but they have other weaknesses, like heat. Your waterproof watch might do fine in the ocean, but not in a hot tub. Chemical attack is another killer. Saltwater is harsh stuff in the long term, so is chlorine. Oils are no picnic either. Even humble soap will find a way to ruin your watch. By chemical design, soap gets into, around, and under things. Eventually, it can work its way past the gaskets and compromise your watch. Thus, the question, "Do you shower with it?" Over time, that combination of heat and soap is an accident waiting to happen. It is always best to rinse off contaminants as soon as possible. Finally, age is the killer of all things and gaskets are no exception. That vintage diving watch you love so dearly was no doubt ready for serious submarine duty 40 years ago, but what about today? How well do the old parts fit? When were the gaskets last replaced? When was it last tested? These questions get even trickier if you are not the original owner. Even relatively new watches may succumb to age. 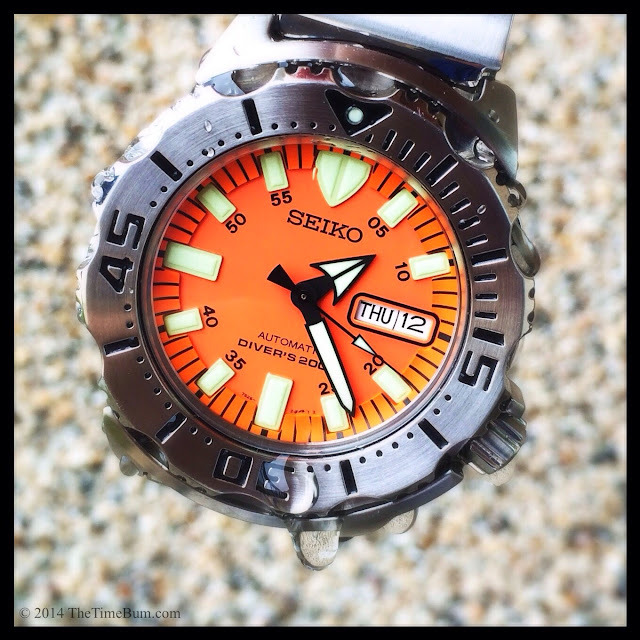 To ensure a watertight watch, you should have it serviced periodically. Opinions vary as to just how often, but I would suggest somewhere between 1-5 years, depending on the frequency of immersion and the harshness of the environment. At least 50m for the wet, 100m in the water, and 200m for the deep. Don't shower with your watch. If you need to keep track of the time in those situations then you are taking too damn long, and probably using all the hot water in the house anyway. Keep your water resistant watches clean - a quick rinse in cool, still water and a wipe with a soft cloth should do it. Have your watch professionally serviced and tested every couple of years. 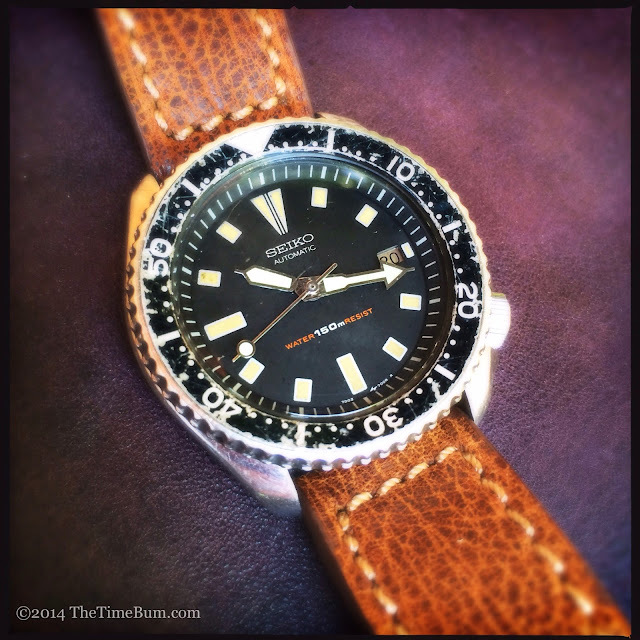 Unless you have overhauled and tested them, keep your vintage divers out of the water. They have lived lives of adventure and earned their retirement. Put them on a nice leather strap and keep them on dry land.